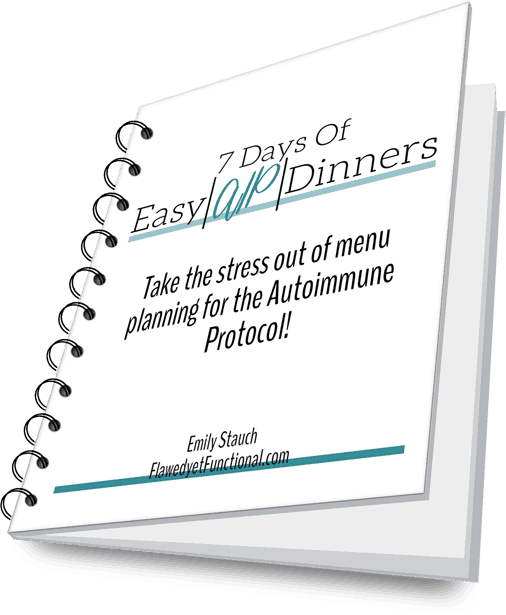 How do the Paleo Autoimmune Protocol and sack lunches get along? I have two young kids, so I am regularly packing lunches for us whether going to the zoo, seeing daddy at work, or just a having play-date at the playground. It can be tricky to think of what to pack for an on-the-go meal when your diet is all fresh food. My go-to for an on-the-go, AIP-approved lunch is what my kids call a “snack-y” lunch. Kid translation: a lunch comprised of all finger foods. One of our favorite combinations is on the Mediterranean side: Kalamata olives, salami, pickles, dates, fresh fruit, and a crunchy side. 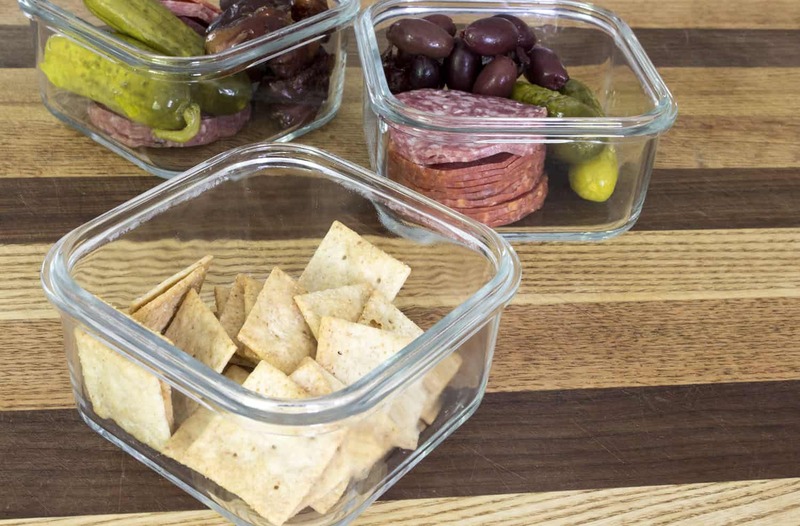 On-the-go meals have three parts for us which usually means three separate containers. There’s the main meat and vegetables which go in one container for each person. 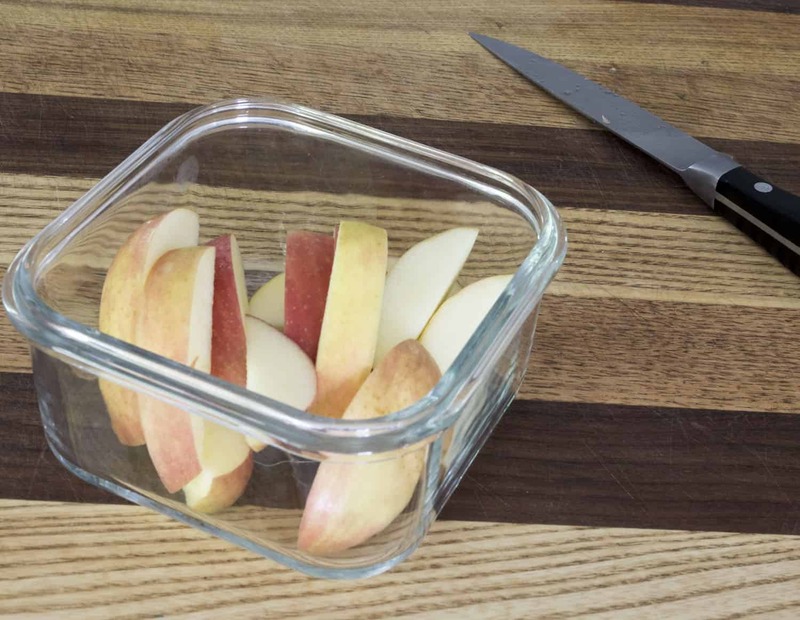 A sliced fresh fruit in its own container, enough for all who are eating. The last part is a crunchy, salty snack which I also pack in one container with enough for the whole family to eat. Ease of serving and eating an on-the-go lunch is top priority for me. I take the time to make individual containers for myself and each kid so that serving lunch is just a matter of taking the lid off and handing it to the child. The juices of the fruit not to mix or taint the meat/pickled vegetables and vice versa. It allows my kids to finish their meat and vegetables BEFORE they get fruit. I know. I know. What a mean mom, right? Fruit is filled with sugar, and who wouldn’t rather eat sweet fruit than vegetables and meat? I know my kids’ tendencies, so I have them finish the rest of the meal before having fruit. The last part to this lunch is crackers or chicharrones, as diet allows. I have not removed nuts from my kid’s diet, so they have a small handful of almond crackers with their “snacky lunch.” Sometimes they pile the meat on the cracker, but mostly they eat them plain. Chicharrones, or pork rinds, are my snack/treat. They are zero carb as they are only pig skin fried in lard and sprinkled with salt. It is the only snack food I know of that will not raise my blood sugar. I love chicharrones far too much. 🙂 Brutal honesty here, I can down an entire bag in one sitting, no problem. According to the nutrition facts, I am consuming 7 servings and 560 calories when I do that. Ha! Want your mind blown? Calories don’t matter if you are eating the right food. 560 calories in fat will not make you fat at all. Fat is fuel to your body, brain, cells, everything. Eat more fat! 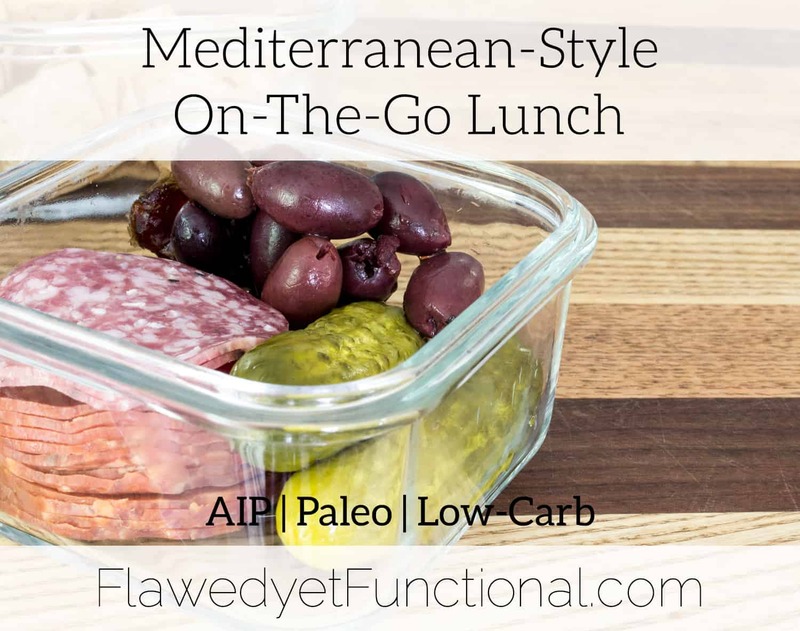 So there you have my favorite on-the-go meal that still sticks to the Autoimmune Protocol, fills me up, and fuels me for the rest of the day. 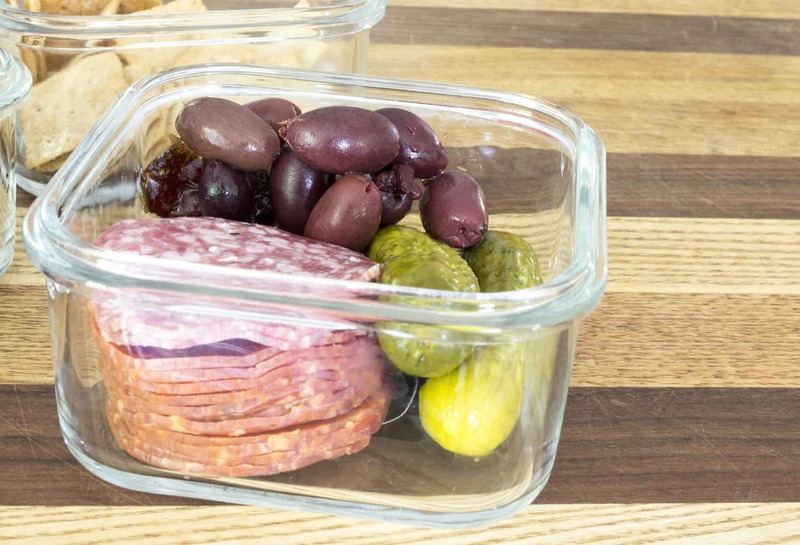 It’s a simple as filling a container with salami, pickles, olives, and dates. Serve it with a side of freshly sliced fruit and maybe a crunchy snack like chicharrones. It’s the perfect lunch! What is your go-to meal when you need to eat away from home? Any other “snacky” lunch combinations you enjoy?